Heading to Sunshine Coast? Be sure to stop by and reach the Currimundi neighbourhood, situated 40 kilometres south of the urban area of the city. Tourists in Sunshine Coast will enjoy taking in the Australia Zoo. Nothing quite compares to the joy of sitting by the sea. Make sure you venture to Dickey Beach. 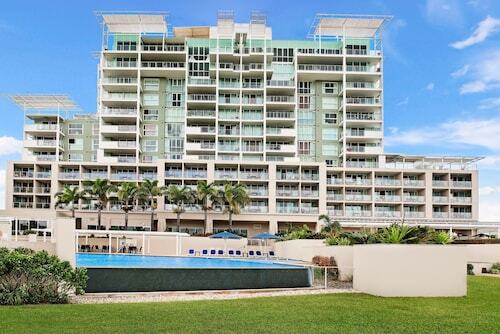 Check out the amenities at the Aspect Caloundra and Rumba Beach Resort to stay nearby. 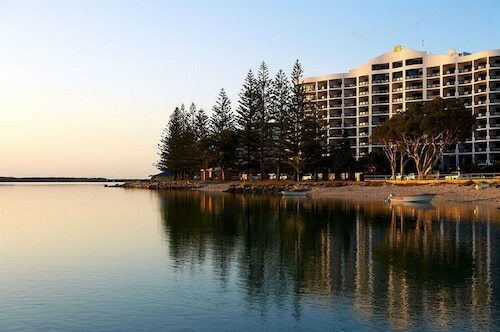 Show the locals a thing or two with a round of golf at Caloundra Golf Club. For this spot, think about the Sails Resort on Golden Beach and Monaco. Feeling a bit peckish after exploring Currimundi? Sit yourself down in a nice corner at Dicky Beach Surf Club. This popular eatery provides all the caffeinated beverages and delicious snacks that a worn-our traveller could ask for. If you aren't one to pass up a cheeky beer at the end of the day, head on over to Currimundi Hotel & Motel. Demand for hotel rooms in Currimundi occasionally exceeds supply. But there's no need to get your knickers in a twist! You'll discover some good places in the Battery Hill hotels guide and the Wotif Moffat Beach hotels guide. 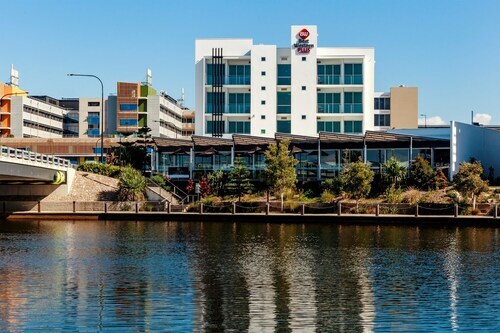 Battery Hill features the Currimundi Hotel Motel and Caloundra Central Apartment Hotel, while in Moffat Beach you can stay at the Estoril on Moffat and Raintrees on Moffat Beach. Currimundi offers plenty to do as well as some great places to stay. Come on, you deserve a holiday, so when you're ready to head to Sunshine Coast or any of thousands of other destinations, Wotif is ready to take you there, on budget and in style! How Much is a Hotel Room in Currimundi? Hotels in Currimundi start at AU$126 per night. Prices and availability subject to change. Additional terms may apply. Nice clean place , the staff was very helpful, we will stay again. Very helpful front desk staff. Well appointed, immaculately clean room. No overnight noise; guests are obviously spread around the hotel. A la carte breakfast was fine and served by very courteous staff member. Checkout was easy. A view of the water would have been great but I arrived too late at night to enjoy it, and for the good price I paid, that would have been an unexpected bonus.